Living in Charlotte since 1986, John Blakely Shell is a graduate of Charlotte Country Day School and the University of Mississippi where he earned degrees in International Studies and French. 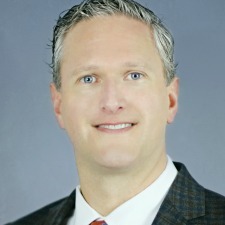 Active in commercial real estate since 2007, “Blake” joined GIBSON SMITH REALTY CO., in 2018 after successful associations with Centurion Partners and Divaris, where he was recognized as 2013 Rookie of the Year. Blake is a licensed Broker in North and South Carolina with focused experience in the sale and leasing of Walmart anchored shadow retail shopping centers located in both states. Blake has experience in shopping center leasing, tenant representation and commercial sales in markets throughout both Carolinas. Blake possesses a strong property valuation skillset and can assist with any of your commercial or investment property needs. Blake strives to provide the best customer service to each of his clients through diligence, strong market knowledge and personal attention to details of each transaction. In addition to numerous volunteer initiatives, Blake enjoys spending time with his wife and infant son born in 2017.